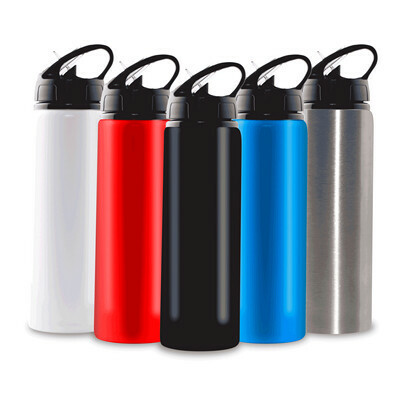 Features: This bottle is made of Aluminium and has a capacity of 750ml. It is available inBlack, Silver, White, Red andBlue. The bottle also contains a drinkingstraw. Price includes : 1 COLOUR 1 POSITION PRINT. Setup is included.